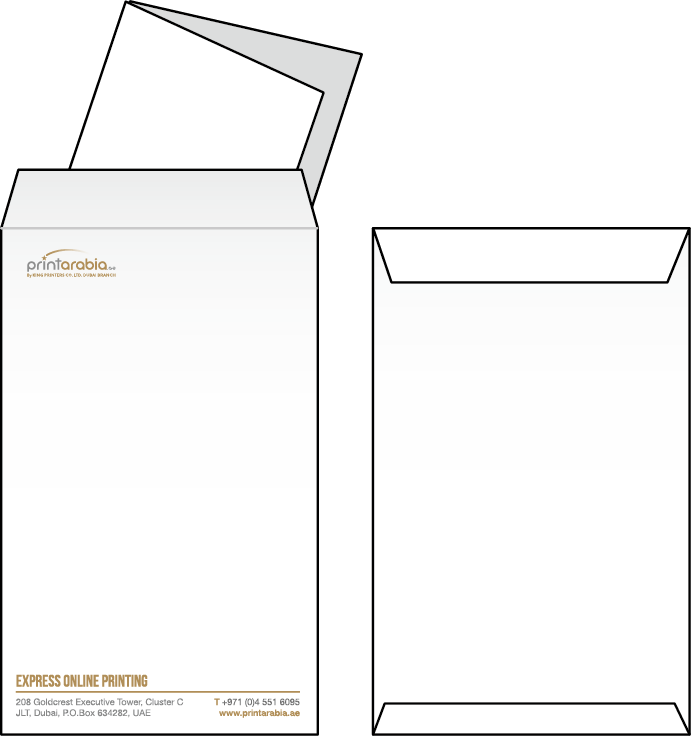 Ready-made envelopesare pre-folded envelopes which are ideal for small quantity print runs. Because the envelopes are pre-folded, we can run them through our digital printing machines without the need for additional production or finishings. However, they do have limitations such as the inability to print colour all the way to the edge, so we must keep a 5mm margin on all sides of these envelopes. That said, ready-made (pre-folded) envelopes are a cost-effective printing option if you’re just looking for a few hundred or need them in a relatively short amount of time. At Print Arabia we carry four ready-made envelopessizes, all of them are printed on 100gsm wood-free paper and come with self-sealing autoseal tape on the inside flap. 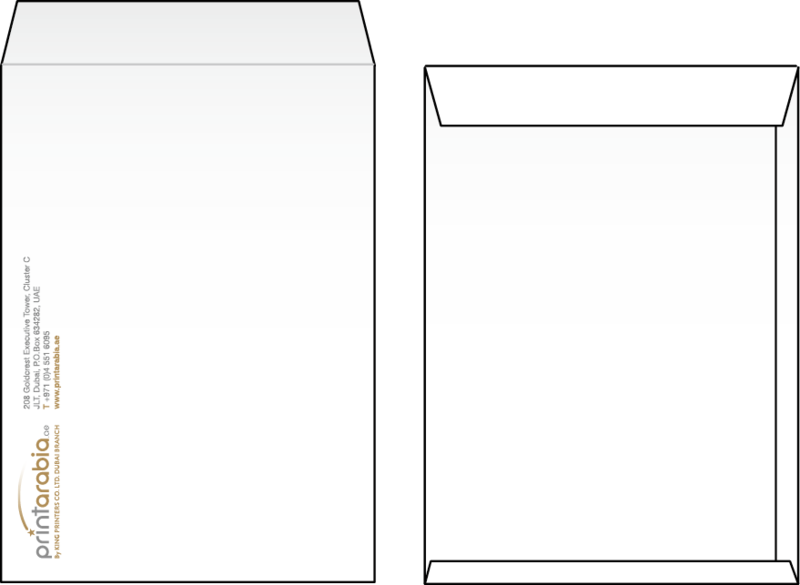 Below are illustrations of the 4 pre-folded envelope sizes and shapes we offer. 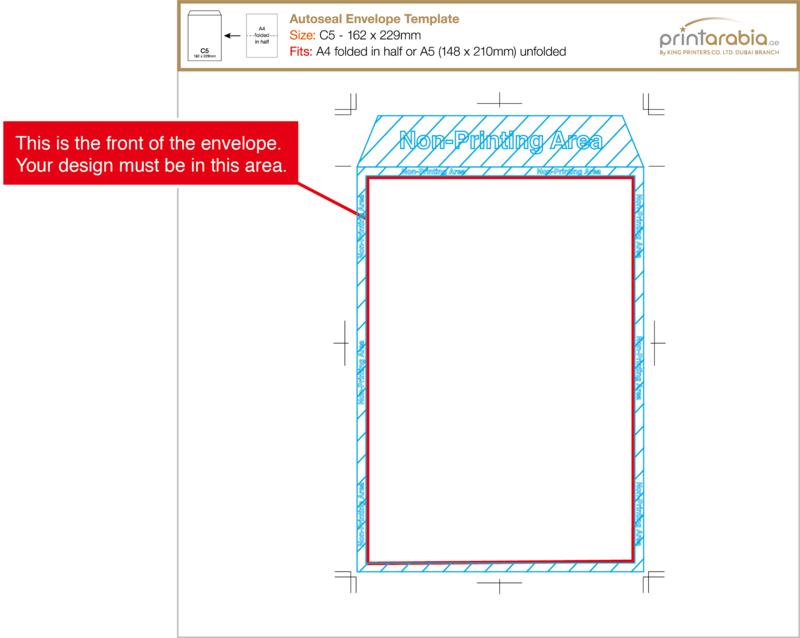 When opening one of our ready-made envelopetemplates, you will see the envelope shape set as guides. If you do not see anything other than the trim marks you need to enable your guides. From the View menu, choose Guides > Show Guides. Marked in blue below, you can see the non-printing zone. The front side of the envelope has a 5mm margin on all sides which cannot have any designs on top, so your design must be kept inside of the white area highlighted in red below. Please note:Because these are pre-folded envelopes, we cannot allow any full bleed designs (where colour extends to the edge). 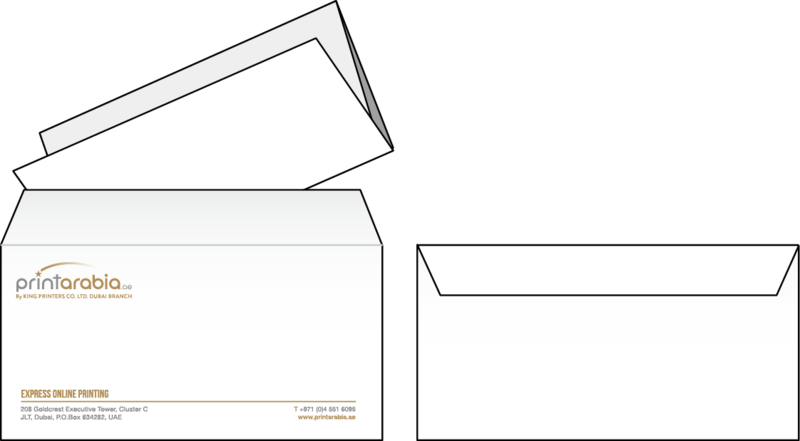 If you need a full bleed design you will need to order our Custom Envelopes. 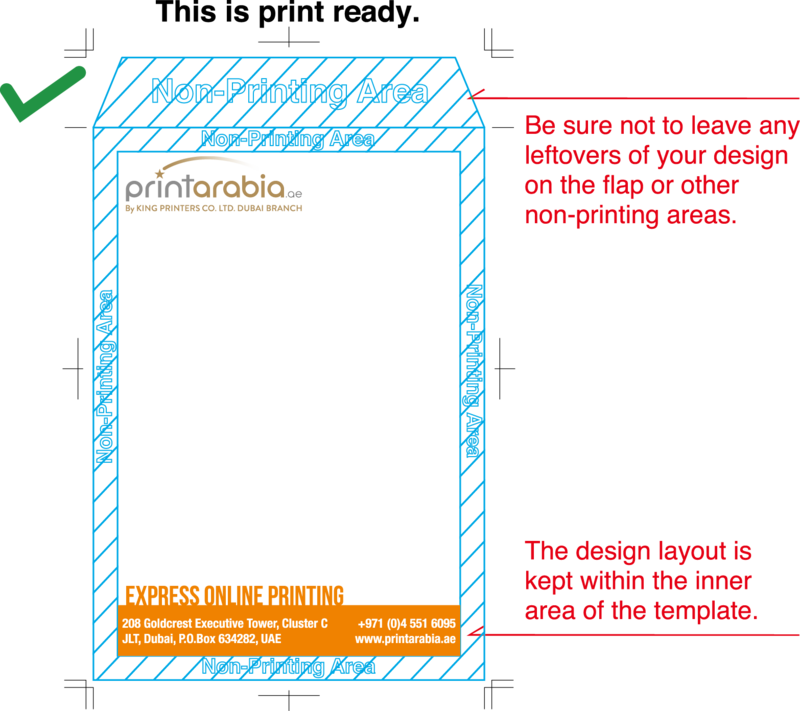 When opening one of our ready-made envelopetemplates, you will see the envelope shape set as guides, along with some additional information. If you do not see anything other than the trim marks you need to enable your guides. From the View menu, choose Guides > Show Guides. Below is what you would see on the artboard. If you have any questions or concerns about your design and our templates, please feel free to contact our support team. We would be happy to hear from you!